This is another one for my bed. I took the design from a quilting pattern & worked it as an embroidered piece. I used various hand dyed threads in varying thicknesses, dull & shiny, thick & thin to create texture. Then added the beads, pearls & sequins for a bit of bling. 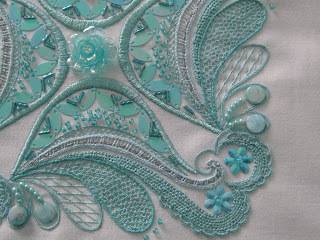 This is a close-up of one corner of the embroidery. 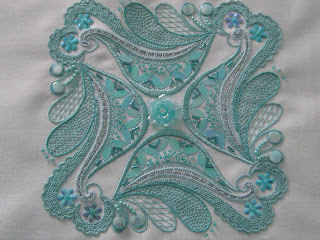 As you can see I have used needle-lace for some of the fillings. This is a progression from the cream & gold cushion worked in my previous post. I am retired & I am enjoying doing my projects which are mostly embroidery & lace making. 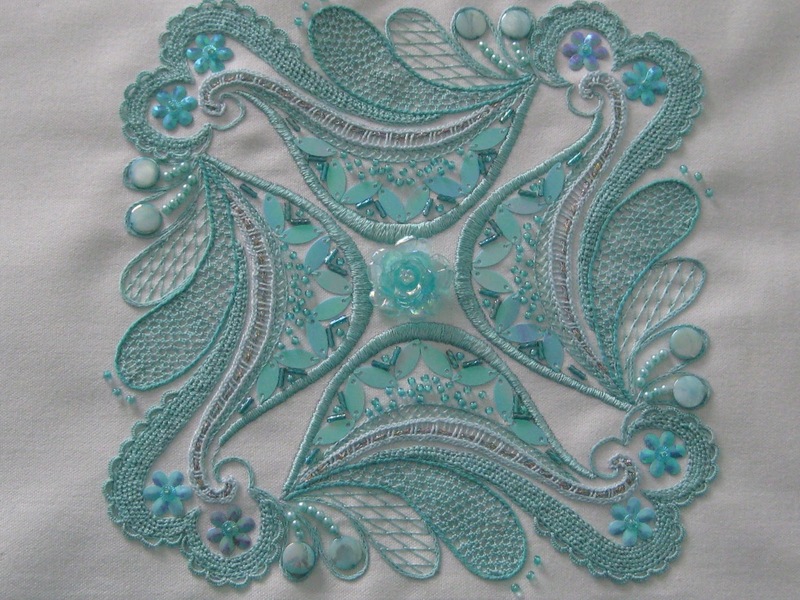 I also belong to 4 groups on the net eg; Needle Lace talk, Stitchin Fingers, Hand embroidery network & IOLI lace. All five cushions now in situ!